We at App Gyaan are committed to bring the tips and tricks related to the mobile device which will surely increase your productivity in day to day life, and before we move ahead we wish you a very Happy and Prosperous New Year 2018. 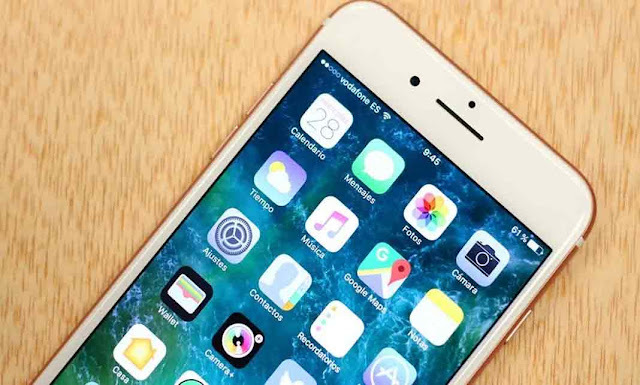 We believe that we should help our readers to increase their productivity by sharing some great tips and tricks about the iPhone and iPad’s. So, to start the new year, we are bringing you the six tips which will increase your productivity with Email App on your iOS devices. You've got two options for getting rid of email messages: archive or trash. The former adds deleted messages to the All Mail folder where they will remain, while the latter moves them to the Trash folder, where they will remain for 30 days before being permanently deleted. To make a selection, go to Settings > Accounts & Passwords and tap on your email account. Next, tap Account > Advanced and select Deleted Mailbox or Archive Mailbox. I set both of my Gmail accounts to trash deleted messages, but there is a way to also retain quick access to the archive action. When I swipe left on a message from my inbox, I get the trash option, but by going to Settings > Mail > Swipe Options, I can set it so I get an Archive button by swiping right. The reverse is also true; if you choose archive as the default, then the right swipe will show a trash button. You can also access both trash and archive buttons by tapping and holding on the trash or archive button when you are viewing a message. A menu will pop up with both Trash Message and Archive Message options. Sometimes a picture says it best. In addition to attaching files, you can insert a drawing in an email. Double-tap in the body of an email and tap the right arrow twice to get to the Insert Drawing button, which lets you jot down your ideas and insert them. Stop using Mail's search bar and start using Siri to find emails faster. Just ask Siri to "search" or "show" or "find" emails about a topic or from one of your contacts. You can also use Siri to remind you to come back to an email draft to finish it later. When composing an email, just tell Siri to, "Remind me to finish this later" or at a specific time and she will add it to the Reminders app. The default is to show two lines of text for each email in the list of messages in the main view of your inbox. If you change it to None or 1 Line, then you'll be able to see more messages on your screen. To change this setting, go to Settings > Mail > Preview.